When Silicon Valley talks about diversity, about boosting underrepresented groups, they’re not talking about Asians. Asian and Asian American tech workers are lumped in with white employees — categorized as overrepresented, a group that companies don’t need to worry about. That perception has for years overshadowed the reality faced by these tech workers, according to a study released this week: People of Asian descent, especially Asian women, are among the least likely to be promoted to management positions. And that is just the beginning of Silicon Valley’s continuing problem with race, according to an analysis of federal employment data from 2007 to 2015 by the Ascend Foundation, a nonprofit that advocates for Asian representation in business. Representation among black and Hispanic workers declined over that time period, the study found. And though the gender gap in leadership is closing for white women, women of color lagged far behind. “It’s pretty startling that over the last nine years, not much has changed as far as upward mobility for minority groups,” said Denise Peck, one of the study’s authors and a former vice president at Cisco. Part of the problem, the researchers said, is that while executives may examine data about their workforce, they may not scrutinize the problems that certain groups — like Asian and Hispanic women — have with getting promoted. It’s not just tech leaders who assume Asians are overrepresented in tech. Steve Bannon, the White House’s former chief strategist and close adviser to President Trump, suggested in a 2015 interview with Trump that there were too many Asian CEOs in Silicon Valley. Bannon suggested foreign-born students should return to their countries after completing school in the U.S, rather than applying for jobs here and working, say, at a tech firm. 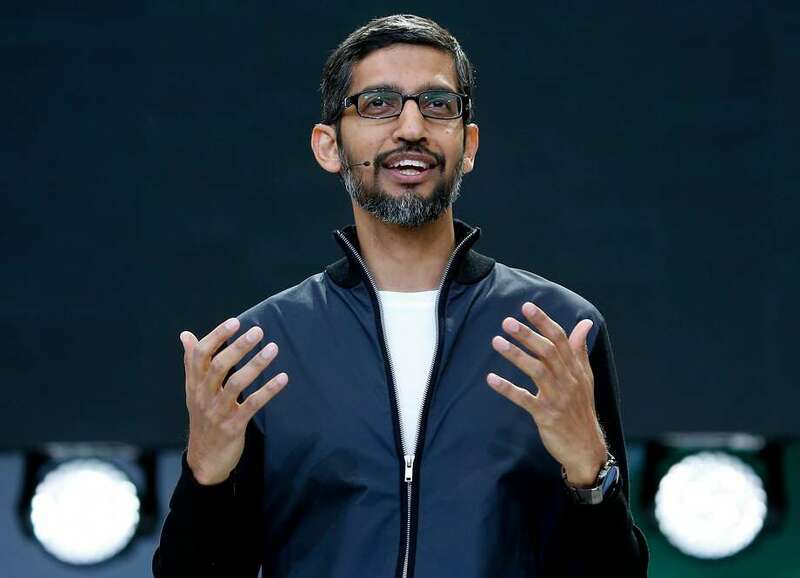 Two of the most prominent CEOs in technology are, in fact, Asian: Google’s Sundar Pichai and Microsoft’s Satya Nadella are originally from India. According to Ascend’s analysis of data from the Equal Employment Opportunity Commission, Asian and Asian American men make up about 32 percent of the tech workforce — an increase of about 9.5 percent since 2007 — and about 20 percent of tech executives. Meanwhile, Asian and Asian American women, who make up about 15 percent of tech’s workforce, hold only about 5 percent of leadership positions, according to Ascend. The difference between the number of Asian women in the workforce and their representation in leadership is is far greater than in any other group, the study showed. White women, though only 11.5 percent of the tech workforce, make up 13.4 percent of tech leadership, the study found. Looking at the patterns of white women and men versus those of racial minorities led the authors of the study to conclude that race, rather than gender, appeared to be a bigger hindrance for tech workers seeking a promotion. Though the Asian diaspora is wide and culturally varied, Gee and Peck said the trends among Asians in their study held true for East Asians and South Asians alike. Because they relied on a data set collected by the U.S. government, they were unable to break down the numbers into specific ethnic groups, such as people of Chinese, Indian or Filipino descent. One issue, said Kim Marcelis, Cisco’s vice president of operations and a former adviser to the company’s Asian employee resource group, is that Asians tend to run up against a clash between their cultural norms and behavior expected of tech leaders. But potential leaders, she said, are expected to network and assert themselves. When she was younger, Marcelis would call her manager with weekly voice mail updates of what she was working on and how she was doing. It was perfect for her, a self-described introvert: She could call and talk to a machine, delete and rerecord as many times as she wanted, and still convey confidence. Despite companies’ increased diversity efforts — reporting workforce data and spending millions on recruiting and retention —the representation of other minority groups, like black and Hispanic tech workers, started at low levels and worsened over the period studied. Black women, the least represented group in tech, make up less than half a percent of executives, the study found. The researchers based their findings on the responses of nearly 261,000 workers at companies including Apple, Facebook, Cisco, Twitter, Intel, Hewlett-Packard and Yelp. This entry was posted on Tuesday, October 10th, 2017 at 4:38 PM and is filed under Business/Economy, ISSUES, NEWS.